"This is a delicious moist and light chocolate cake. Everyone that's tasted it has had to have the recipe!" 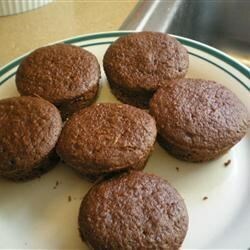 In a saucepan, combine 1 cup water, 3 tablespoons cocoa, 1/2 cup butter and 1/2 cup shortening. Heat until mixture comes to a boil, then remove from heat. Pour into a large mixing bowl. Add sugar, flour, soda, buttermilk, eggs and vanilla. Mix well and pour into prepared 9x13 inch pan. Bake at 350 degrees F (175 degrees C) for 30 to 40 minutes or until toothpick inserted in center comes out clean. Have icing ready when cake comes out of oven. To make the icing: In a medium bowl, combine 3 tablespoons cocoa, 1 teaspoon hot water and 1/2 cup melted butter or margarine. Add confectioners sugar, pecans and milk and mix well. You can add more milk to achieve desired consistency, but too much will make cake soggy. Frost while cake is hot and icing is still soft. I baked this in cupcake form and they came up round and crisp at the top, moist and fluffy in the middle. They're just as good, if not better the next day. My guests couldn't stop eating them! This recipe came out great, and I am not a baker at all! The only thing I did differently was add more cocoa powder to the icing. Very moist and delicious, i made it and it was GREAT!! !